Hello everyone, I hope that your week has started off happy and bright! Yesterday my family happened to buy a new pet, a fancy bearded dragon to be more specific. We are not sure whether it is a girl or boy yet, but it doesn't really matter because I don't think were planning on breeding reptiles anytime soon haha! I will let you know in a future post what name we have chosen, so please comment your suggestions below because I would love to hear all of them! What a beauty! I think you should name it "mischief" or "trouble." What a cutie! How about Speckle? 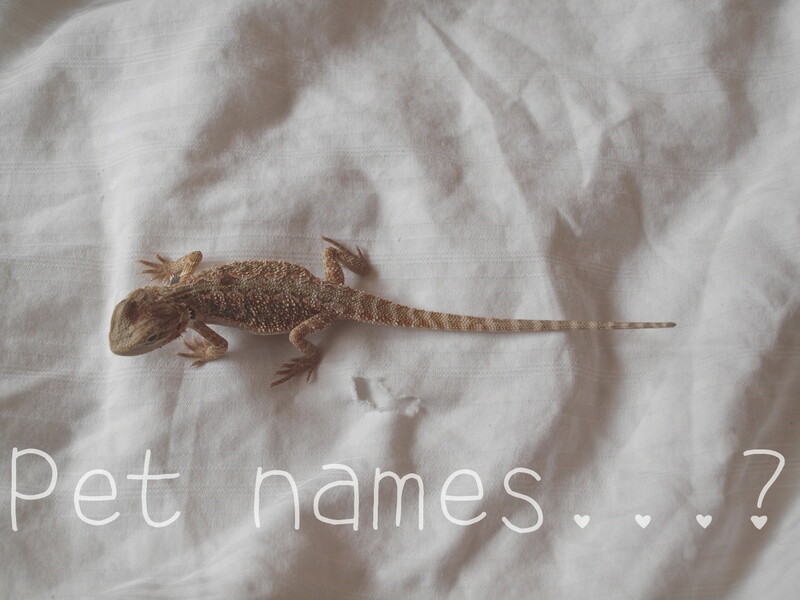 I know someone with a similar lizard and she named hers Peanut.